Terawatt is creating a Decentralized Autonomous Organization to help improve, increase, and fast forward the adoption of the use of Light Emitting Diodes. It is no more news that the climatic and weather condition of the earth has changed over time. Areas which are cold are gradually heating up and places which are hot are getting hotter. Studies showed that there has been a rise in the sea level over the years. This could only mean that there has been an increase in the volume of water in the ocean. The increase is as a result of melting of ice in places like Antarctica because of rise in the temperature of the earth. It has been found that there is the ozone layer which helps to reduce the intensity of heat coming from the sun to the earth. However, the Ozone layer gets depleted over time as it reacts with gases like Carbon dioxide (CO2) which is one of the major gases released during combustion. Reduce the usage of energy by encouraging the research and use of materials and gadgets which consume lesser amount of energy. The last two options give man hope of saving the future. While more researches are going into inventing more cost friendly solutions to use green source of energy, attention is needed in encouraging the use of materials which consume lesser amount of energy. 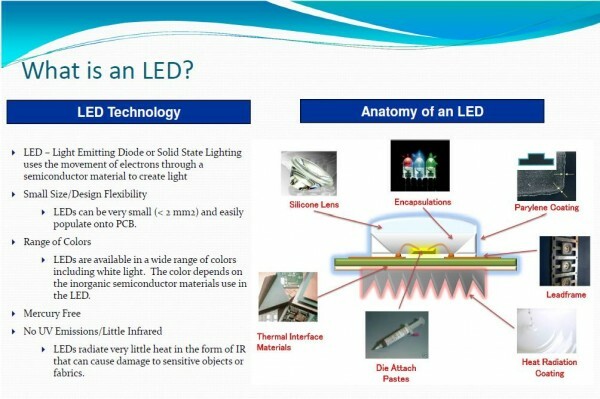 One of this material is the Light Emitting Diodes (L.E.D.). This is another lighting source which is much more efficient than all other sources like florescent, etc. LED consumes much lesser amount of energy than other lighting sources. It does not emit heat as intense as others, it only emits heat through the plate at the base. It has a longer life span, it can be used for up to five years if used for a few hours per day. It does not contain mercury like other High-intensity Discharge (HID) Lamps. Mercury can be dangerous to the environment if not properly disposed off. LED has many applications in electronics today, apart from being a good substitute to lightings, it is also used for background lighting for Televisions (LED Tv). If LED is used to replace all lightings on earth today, the energy consumption will be cut by more than 25%. But it becomes very hard for people who are using other light source to begin to change and use LED. This challenge has been taken over by some utility companies to help businesses and users adopt the technology by providing incentives or discounts monthly to encourage them. But they can only do that for a few months. Terawatt sees the challenge that has plagued the earth today and decide to help the world find a solution. Terawatt is creating a Decentralized Autonomous Organization to help improve, increase, and fast forward the adoption of the use of Light Emitting Diodes. The Decentralized Autonomous Organization was proposed a few years ago to be an organization without leaders. DAO is a concept which uses the opinion of the crowd through votes to take decisions. DAO is a smart contract that is built to help all members execute decision which is made through consensus. In a DAO there is a pool of funds which is used to execute the decision of all members. When Profit is made, the DAO distribute rewards to all participants according to the number of tokens/votes held if this is the consensus reached by the community. This concept made wave after it was introduced but was hacked after two months because of some simple faults oversight by developers in the smart contract codes. Terawatt is proposing the use of the DAO concept but adequately taking care of the flaws of the DAO concept like loopholes in the smart contracts and 51% attack. Any holder of the Terawatt’s LED token can become a member of the Terawatt DAO. The DAO through the smart contract will be able to use the power of the crowd to fund the production of LED lighting and related Techs. This is to help subsidize costs of productions for producers, and lower the purchasing cost for end users. This will consequently increase the adoption of LED. Any member of the DAO can bring proposal for ventures to increase LED adoption, which will be voted on by the community. There will be entry and Exit fees charge from members who wish to join or exit the DAO. Part of these fee, profits from ventures or donations will be used to buy back Terawatt tokens in circulation daily. The tokens bought back will be burnt thus reducing the number of LED tokens in circulation which may increase it worth. The other part will be used as voted by the DAO community. Terawatt will secure it users with the ZK-SNARKs protocol. You can as well get to know more about Terawatt from their Website, Whitepaper, Bitcointalk Announcement page, and Telegram. The blockchain technology is being applied in different industries as mentioned in one of the previous article on this website. The application of the blockchain technology will continue to increase as developers work each day to increase its adoption. Get the latest news about your favorite cryptocurrency on The Currency Analytics and FinancialReport24. You reach me on Bitcointalk via my profile: Ayobami99.